The Cheryl Maltby Memorial Bursary Award was set up in 2015 to honour the memory of an amazing coach and friend of the Hespeler Skating Club. 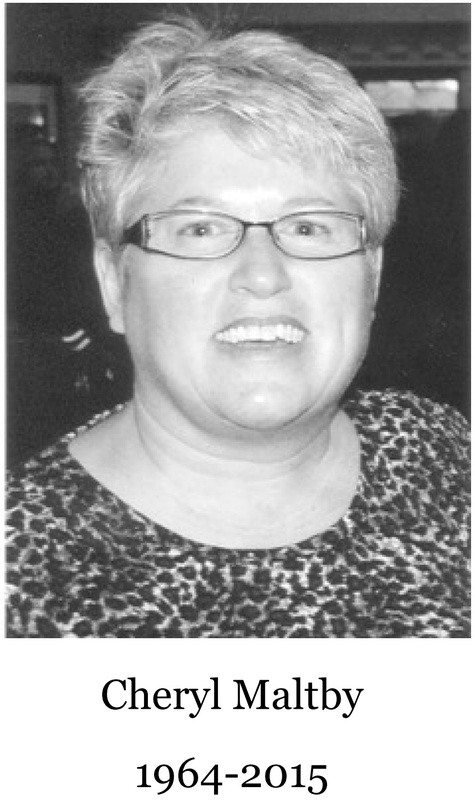 Cheryl was a coach with the Hespeler Skating Club for over 25 years. She began her skating career in her home town of North Bay, Ontario at the age of 7 and was a competitive skater for most of her youth. Her love of skating was evident to everyone she met. She had recently moved back to North Bay to care for her parents and re-joined the North Bay Skating Club as a coach, where she continued to spread her love of the sport. Cheryl taught many of the skaters and coaches at our club today. She trained and supervised our Program Assistants, and ran our Canpower program. Her experience and knowledge were a valuable part of the clubs success. As her husband, Rob wrote “Cheryl was very compassionate and eager to get to the rink to teach children of all ages the fundamentals of skating, both with hockey and figure skating. She would always come home and be proud that someone she taught improved and moved onto the next level in skills or dance and it brought immense joy to her heart. Cheryl always told her family that her students in Hespeler were amazing people and that it brought happiness to her heart to see each of them succeed”. One of Cheryl’s last wishes was to set up a fund to provide skaters in need with proper fitting skates. We are proud to honour these wishes and keep the memory of such a great coach, women and friend in all hearts for years to come by establishing the Cheryl Maltby Memorial Bursary Fund. Look for our future fundraising efforts including Kandy Kabobs and a golf tournament to be held on Sat June 1, 2019 at Grand Valley Golf & Country Club. Look for further efforts on our website. Cheryl always told her family that her students in Hespeler were amazing people and that it brought happiness to her heart to see each of them succeed.